LanternCast Episode #245 – March Books! 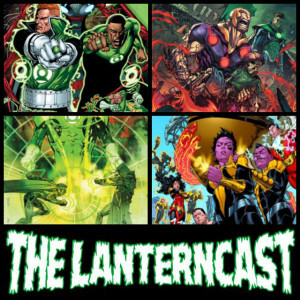 « LanternCastVIDS Presents: ‘Ringcyclopedia’ #17! March books are upon us! Chad and Mark glide through the Edge of Oblivion before almost drowning in the despair of Telos and Green Lantern. Luckily, the boys are saved by the warm glow of this month’s Sinestro! The big question is do both hosts survive their respective rants on sloppy editing and character misuse? There’s even time for LISTENER FEEDBACK despite the tirades! Be sure to email us or sound off on our voice-mail at 708-LANTERN!